The New Apple Watch series 4 has the power to check your heartrate, log your stepcount, calories burned, remind you of what’s on your schedule, send email and text notifications, make calls, use walkie talkie radios, and much more with hundreds of apps available. Nintendo switch is a portable game console that enables quick and adaptable gameplay. 2 controllers are always available making multiplayer gameplay available anywhere you go. With titles such as Mario Kart, Super Smash Bros, The Legend of Zelda, and Skyrim, the Nintendo Switch is a game console that is sure to please gamers of every kind. The Amazon Echo introduced a whole new category of tech less than 5 years ago and has already become a bestseller in technology and a must have for any smart home enthusists. The Amazon Echo is a speaker which intelligently answers voice commands and questions, plays music and internet radio, and can serve as the universal remote of your smart home, by changing the temperature, controlling smart lights, playing your favorite show on Netflix with an Amazon Fire TV stick and so much more. For budget shoppers, the Amazon Echo Dot 2nd gen is currently available starting at $19.99 . We’ve all lost our keys on the wrong day. But with Tile, you are in luck. Tile is a small device that pairs to your phone via bluetooth that can clip on to easily lost items. If you leave an item behind, tile can show you the last location that it was close to your phone. If you are closeby, you can have the tile sound-off to make the item easier to find. Tile starts at $25 but you can currently get up to 45% off on multipacks. Microsoft’s Surface Go is an inexpensive productivity tablet that runs every application in the Microsoft store. Paired with the surface pen it is a great gift for students, and professionals, great for reading emails, browsing the internet and using your favorite apps like Spotify, iTunes, Word, and Excel. Here come the new iPhones at the Apple September event! Samsung announced their new phones in August. All around us is the thrill of new devices. It’s amazing how such small devices that didn’t exist in our lives 20 years ago now have millions of users. Year after year, a new lineup of devices is announced with day one sales, rivaling attendance of day one showings at the movies. But what makes these little devices so special? Smartphones, tablets, and computers are infused with innovation and the latest editions are constantly stretching our idea of what is possible. With all of this popular appeal, we sometimes forget that these devices translate into innovative platforms that can also protect our data for business. Innovative features like Face ID and Samsung Iris scanner provide us a quick way to enter a tough password. AI s like Siri and Google Assistant introduce us to AI protection. Smartphones make innovation fun and exciting, but by learning these exciting technologies we learn new ways to protect our environments from cyber attacks and make our processes more efficient. Artificial Intelligence: Creepy or Helpful? Artificial intelligence and machine learning has become a hot button topic in Technology. Apple brought us Siri, Amazon brought us Alexa, and Google brought us Google Assistant. But AI capability and purpose goes far beyond your common answer to “what’s the weather like?” and “set a reminder when I arrive at home”. AI is ready to help businesses trace food from farm to store, give a guided tour through New York City, research the cure to cancer, and to secure our networks. However, AI is something many of us fear. Voices throughout the technology community have expressed their warnings of further research on AI. Stephen Hawking said Artificial Intelligence will be the end of man”. Elon Musk stated, “We are rapidly headed towards digital super intelligence that far exceeds any human”. Should we mind these warnings? In 2011, IBM’s Watson won the game of Jeopardy against 2 top human challengers. Not only did Watson beat top challenger’s in Jeopardy, Watson brought deep questions about our limitations as humans and the capabilities of machines. What may seem like a useless conversation was actually the two bots communicating in their own language. The creators shut down the bots as they had no use to humans. So AI is pretty smart right? But can modern AI beat the Turing test? The Turing test was a test developed by computer scientist Alan Turing (known for breaking the enigma encryption algorithm during World War II) used to distinguish whether a computer is artificially intelligent, it requires that a human being should be unable to distinguish the machine from another human being by using the replies to questions put to both. Can you distinguish the Google Duplex AI from a human caller? OK, Maybe this is all a little creepy. So maybe we cease to use technology altogether until every programmer vows to never create AI again; their creepy computer voices won’t be able to laugh at us in binary as we post silly human memes across their domain. Do we smash every smartphone? Every smart speaker? Every Internet connected device? Do we stop progress? Was Elon Musk right? Those are all questions for a philosophy course. For now, there are many benefits we can gain from utilizing AI. Barracuda’s Sentinel AI was build to detect phishing scams so we don’t have to figure it out. It learns the patterns to the emails we send and receive and is able to determine whether a message is a spoof message to or from you. There are many ways phishing scams can come through. And utilizing AI to assist with detecting it is the best way to avoid falling victim to it. In conclusion, Modern AI is smart, and keeps getting smarter. The best way to stay ahead of the machines is to utilize them to your benefit. There are always new and exciting ways to use technology. This year has been big for augmented reality,Microsoft announced Mixed Reality headsets and has made available AR hardware from 3rd parties such as Dell, Acer, and Lenovo. Apple announced ARkit and released iOS 11 with new augmented reality features. One of the most immediate uses of Augmented reality is Amazon’s AR view. All you need is iOS 11 and the Amazon app, select the little camera in the upper right hand corner and tap AR view. There are a list of items available on Amazon to be viewed in your own space via Augmented Reality. I tried it out on my iPhone and found it to be fairly robust. What if this were my office chair? You could call this a real life image of a DOS machine. This is a fun way to shop and allows you to avoid the the black friday horror stories in style. We wish you all a happy Thanksgiving weekend, happy shopping, and happy holidays from all of us here at ABS! Since the dawn of Internet of things, the tech giants have brought us a wave of new products that fit every nook of our homelife. Among the most revolutionary are smart speakers. 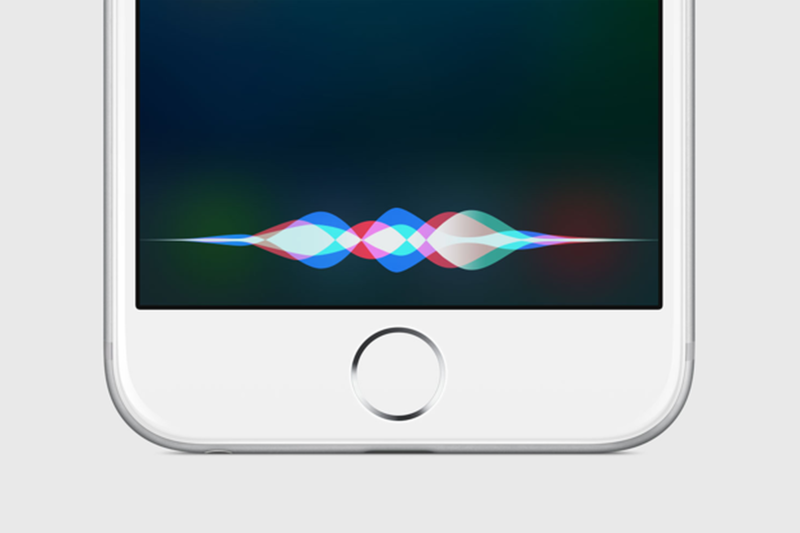 Each device is activated by a wake word (“Alexa”, “Hey Siri”, “Ok Google”, “Hey Cortana”) after which it listens for a command or question: “…what’s the weather like tomorrow?” “Order more paper towels”, ” play classical radio on Apple music” “Turn on the lights” are just a few of the types of commands these virtual assistants will answer to. According to Techcrunch.com on a report by Juniper Research, 55% of U.S. households are expected to have a smart speaker. That is 70 million households with a device with microphones capable of capturing sound across a home! Amazon brought us the Echo lineup, Google brought us Google Home, and Microsoft and Apple recently stepped into the smart speaker world with the Harmon Kardon Invoke smart speaker powered by Microsoft’s Cortana, and Apple’s recently announced HomePod powered by Apple’s Siri. The products function as speakers that can listen for commands, and execute applications and activate other smart home devices. With this newfound convenience there are concerns about privacy. Google recently revealed that a flaw in the design of the Google Home mini was causing it to record conversations without activation by the wake word. When privacy flaws emerge it does make the average consumer more hesitant to adopt such a powerful device. After all these are devices that were designed to control the rest of the smart things we install in our homes including smart locks, cloud security cameras, and smart thermostats. The concerns many people face today with smart speakers are similar to the concerns we faced at the dawn of cellular phones and in a new wave with smartphones. Suspicions of government or corporate spying on our day to day lives became a concern for some and subject of debate. Since that time, new protocols have been implemented to assure autonomy in personal phone use. Apple encrypts text message conversations in iMessage, and Snapchat launched encrypted picture communications. Based on this history, we can expect a similar evolution to occur as smart things begin to integrate more and more into our daily lives and privacy becomes a weightier concern. already, strides have been made in the programming of these devices to answer privacy concerns Microsoft’s Cortana saves personal data it collects locally to a computer rather than to the cloud in a place called Cortana’s Notebook. If a user chooses to sync data to the cloud, Microsoft provides a highly secure 2 factor authentication on personal accounts. Users can edit or remove data stored there at any time. Apple programmed Siri to hold the personal data it collects encrypted in iCloud storage, so you control what data Apple retains for use of Siri. Google’s privacy site allows you to delete your search history either by voice assistant or by text from Google’s servers at privacy.google.com, all encrypted and secured by your Google account. Amazon has made it clear they wish to prevent exploitation of their users by banning repugnant ads from the Alexa platform . At Automated Business Solutions, we're dedicated to providing the absolute best customer care. We want you to know that when you do business with ABS, you'll be taken care of by our friendly, professional staff. Don't just take our word for it, see what our customers have been saying!